I always find myself chuckling when I watch a food show or read a recipe for grilled corn on the cob. So much effort for such a simple dish. The typical procedure is to pull back the husk, remove the silk, return the husk to its original position, tie the cob to hold the husks in place, and then soak for some time. When it’s finally deemed ready, they put the corn on the grill and cook it to death. The soaking provides water for steam to cook the corn, and the extended length of time is to dry out the husk to get some grilled effect. 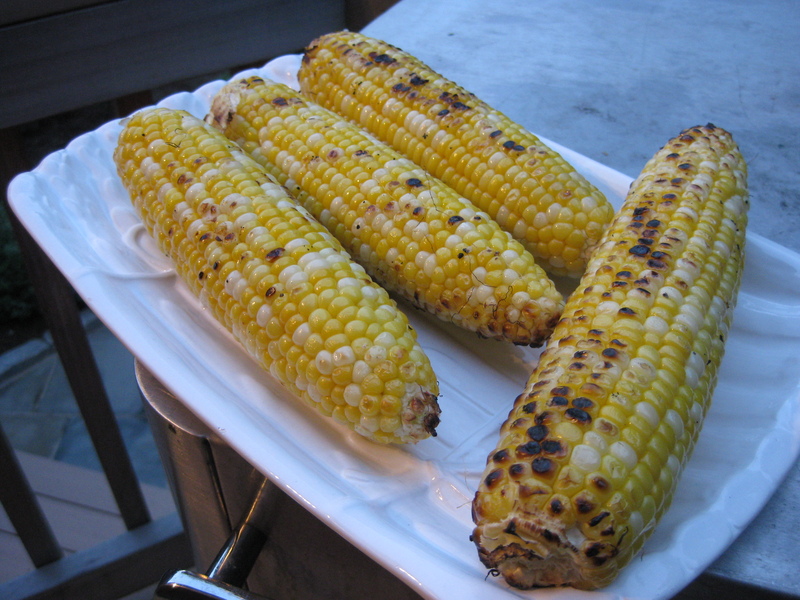 I have always found corn grilled in this fashion overcooked and starchy. More importantly, it is totally unnecessary. Serve with our Grilled Pork Chops with the grilled corn on the cob. 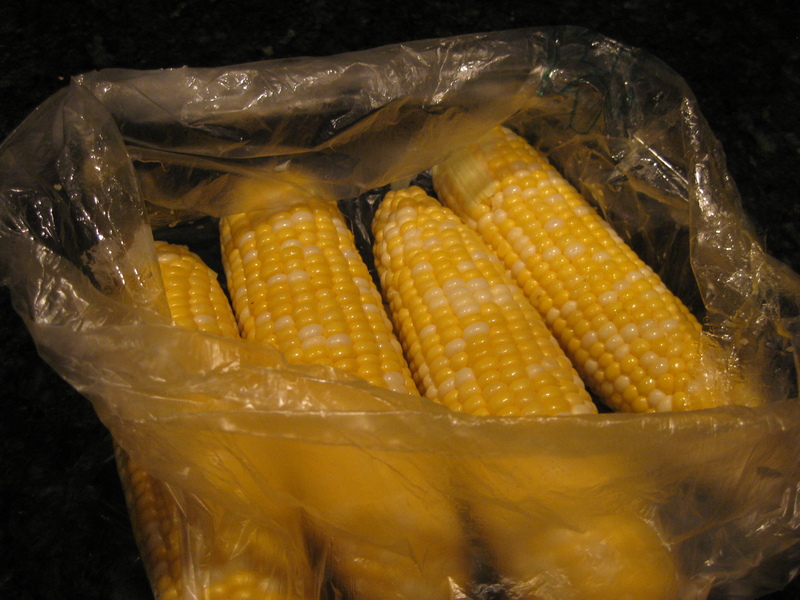 The easy way is to take your shucked corn, toss with a teeny bit of olive oil and a light sprinkling of salt and pepper. Place ears on a preheated grill and cook, covered, on medium-high heat for 5 to 6 minutes, turning every 60 to 90 seconds. Some kernels will caramelize, most desirable, and the rest just cook through. The natural water content in the corn is sufficient to aid in this process and the result is juicy, perfectly cooked, sweet corn. Done – nice caramelization and fully cooked in only 5-6 minutes! 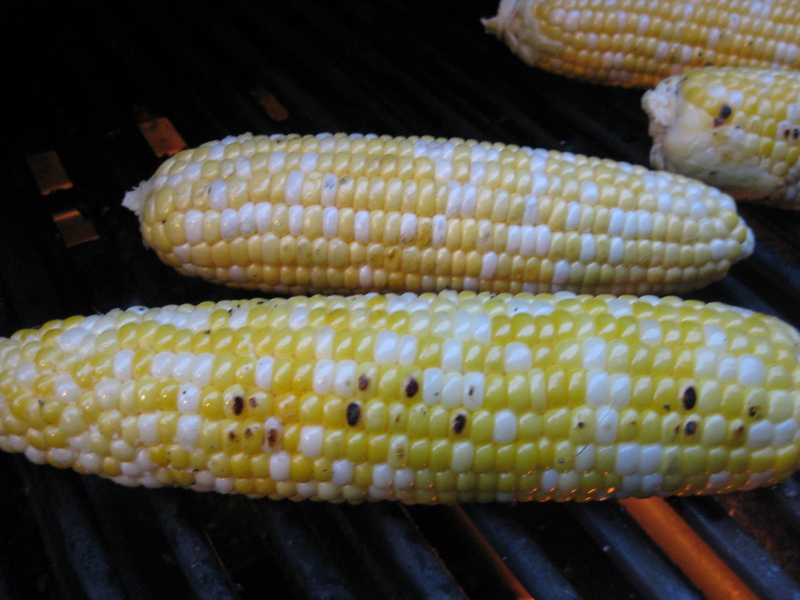 Grilled corn is one of my favorites and a family bbq staple. This is how we’ve been cooking it for years. I too, have a bit of a chuckle when I see so much work and effort put into something that when prepared so simply is just divine. Thank you!